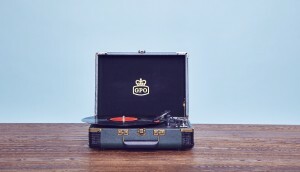 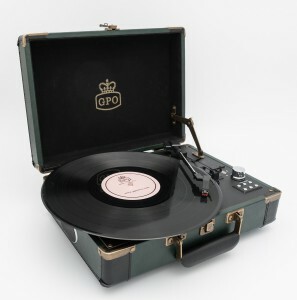 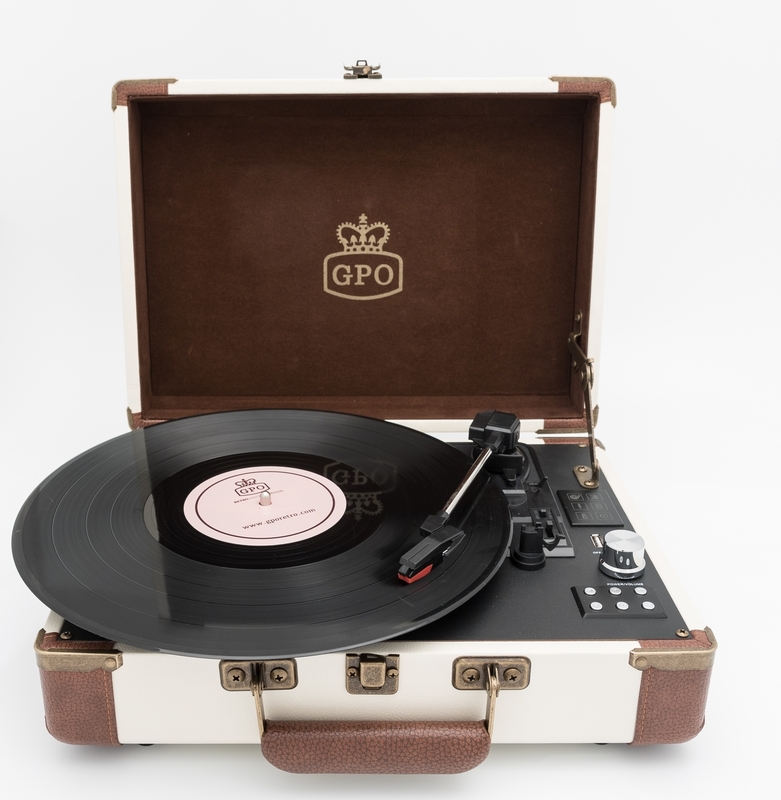 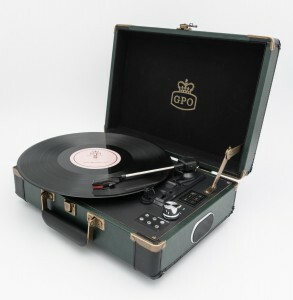 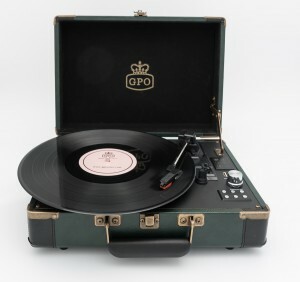 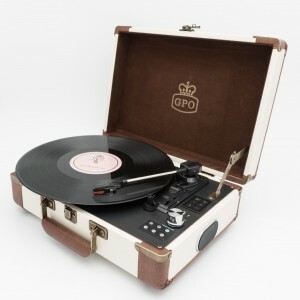 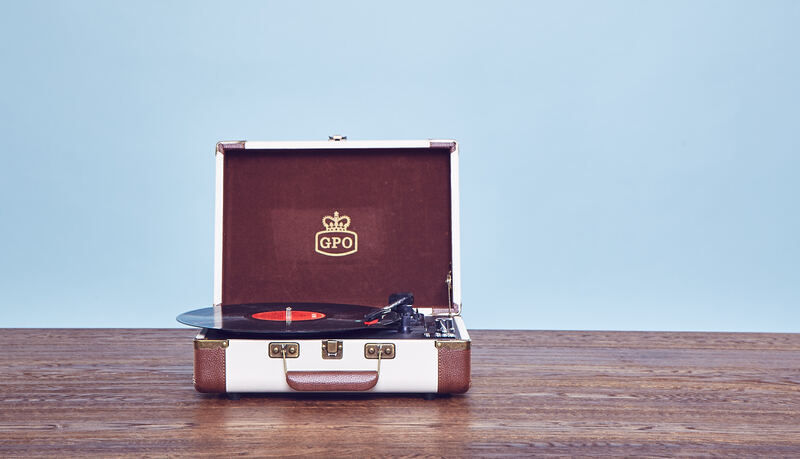 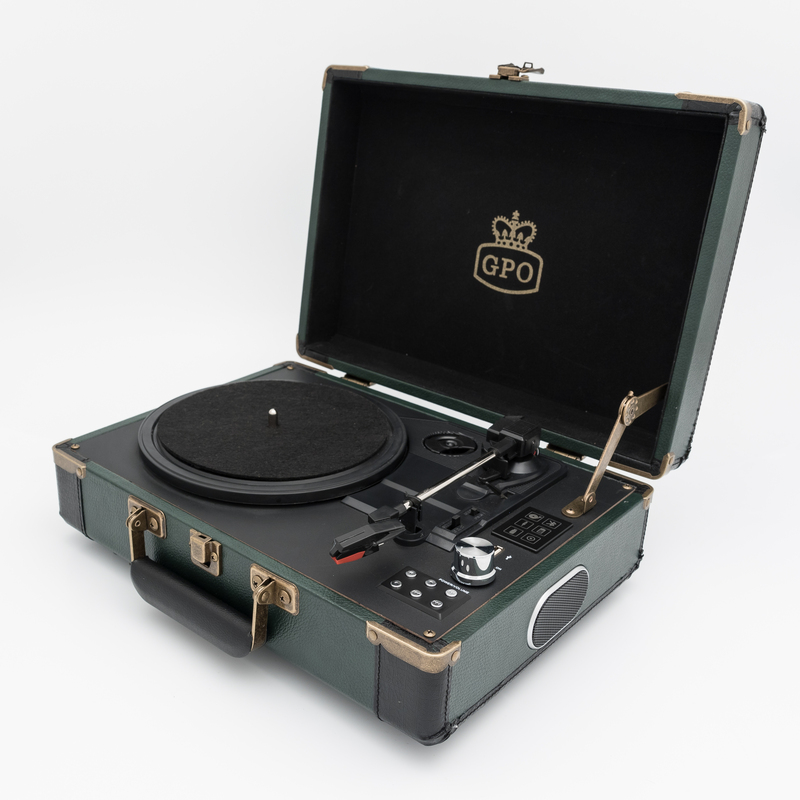 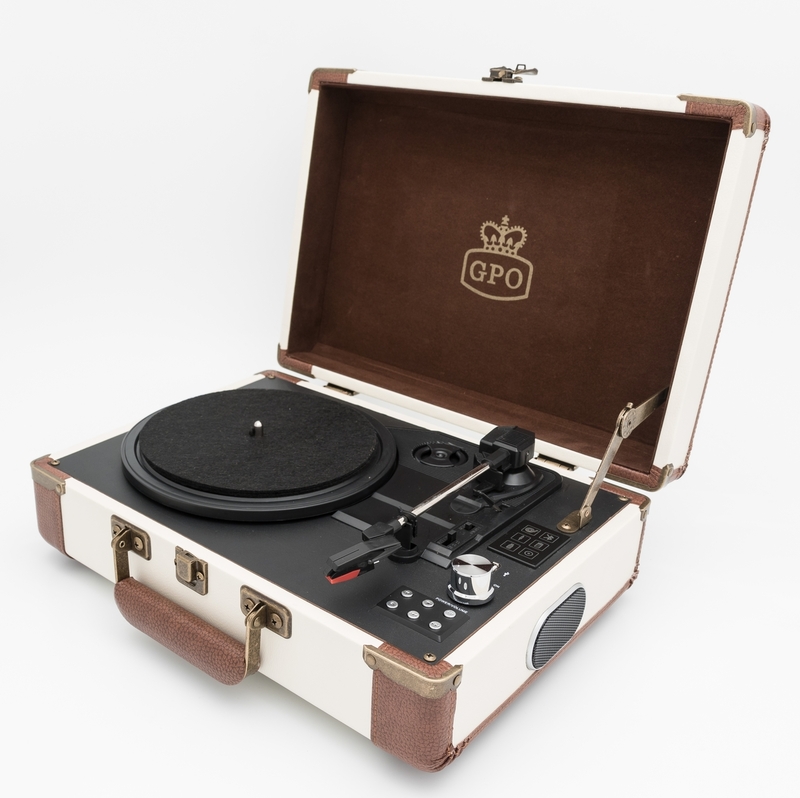 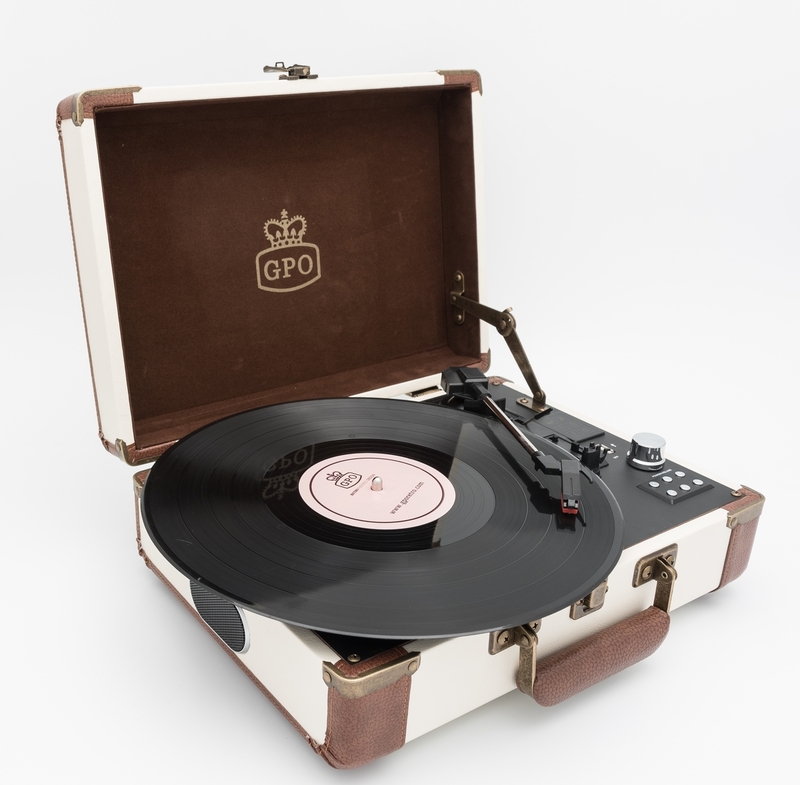 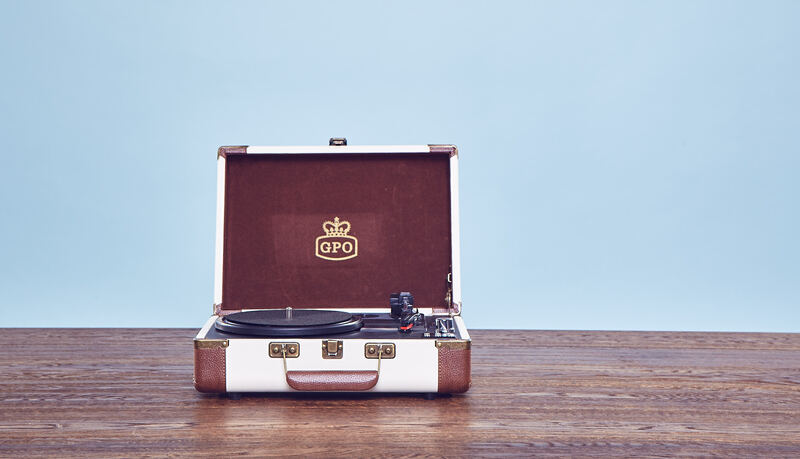 With dapper style, but a very modern touch, the GPO Ambassador is our first turntable with Bluetooth connectivity and a rechargeable battery. 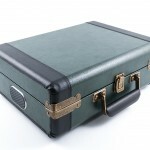 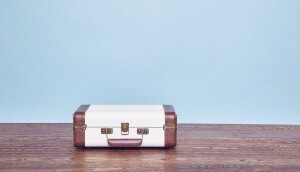 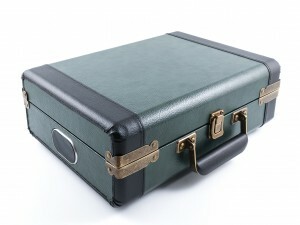 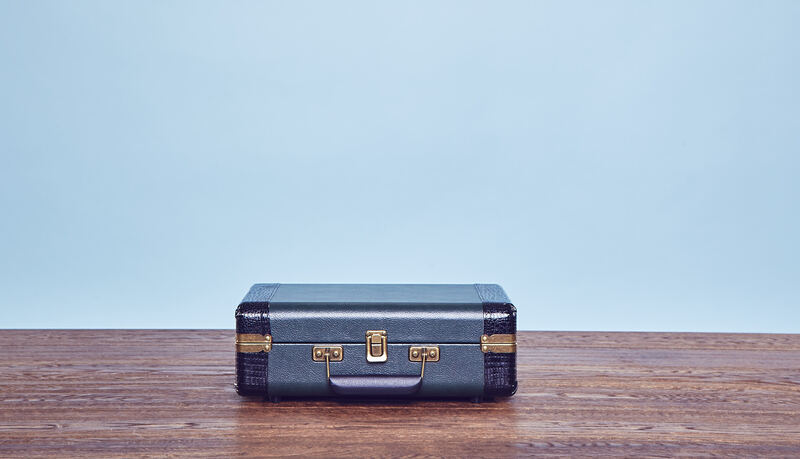 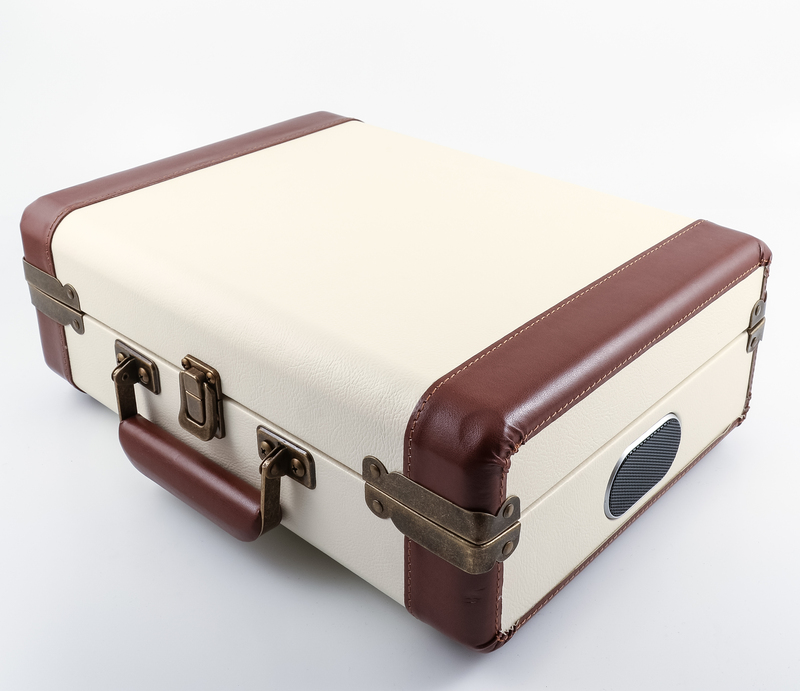 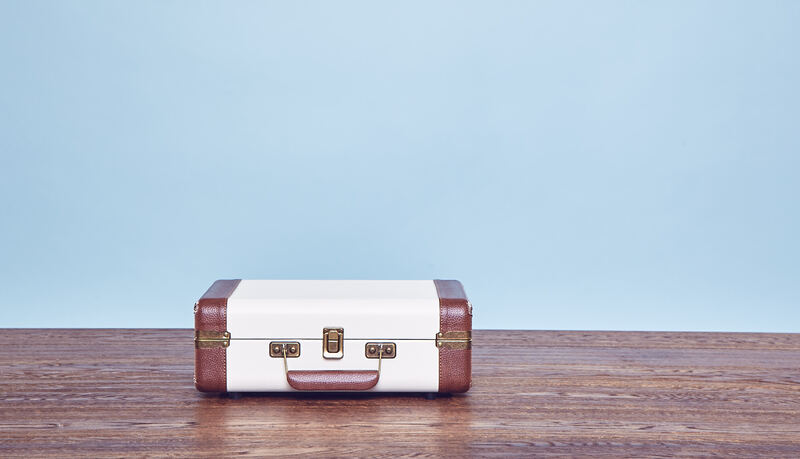 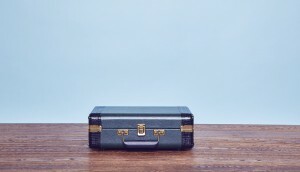 First check out that wardrobe; with either a Green and Black, or Cream and Tan two tone finish, the Ambassador has a classic finish with leatherette binding and brass-styled corner protectors. 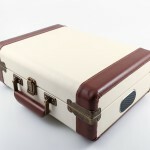 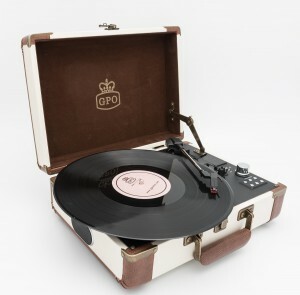 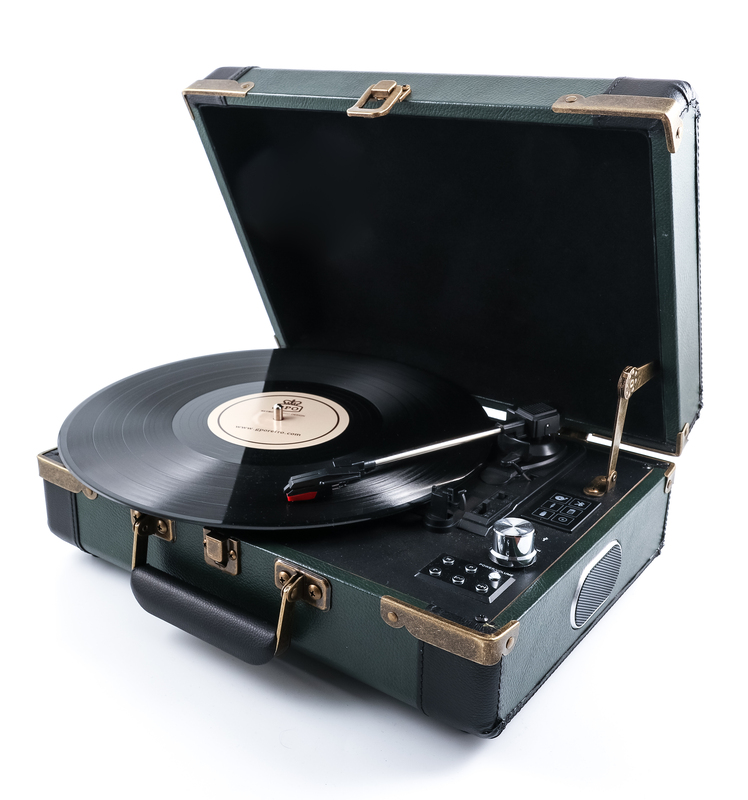 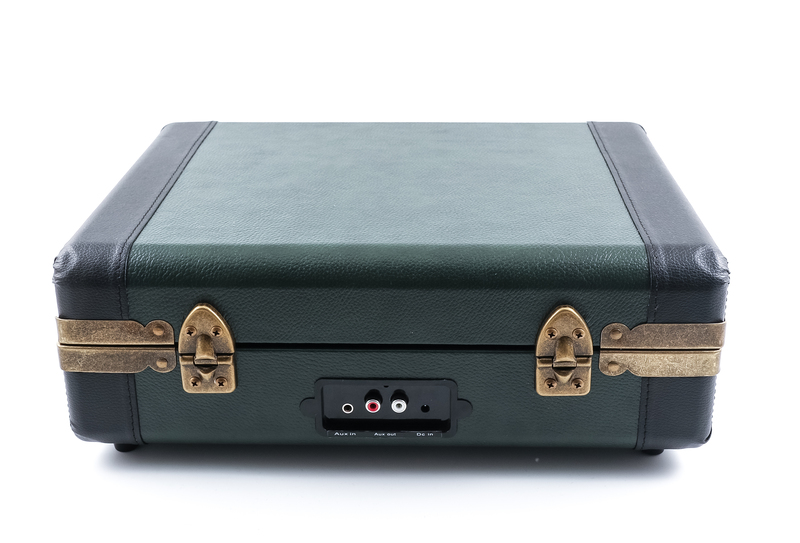 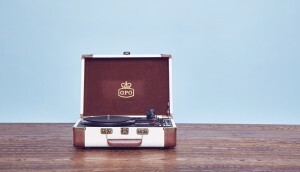 The briefcase style record player features a three speed turntable, auto stop function, built in speakers and manual pick up arm. 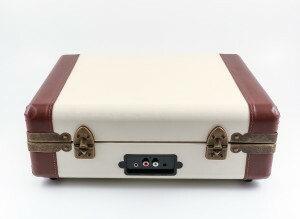 Yet it’s also been built to make it easier to play music wherever you are. 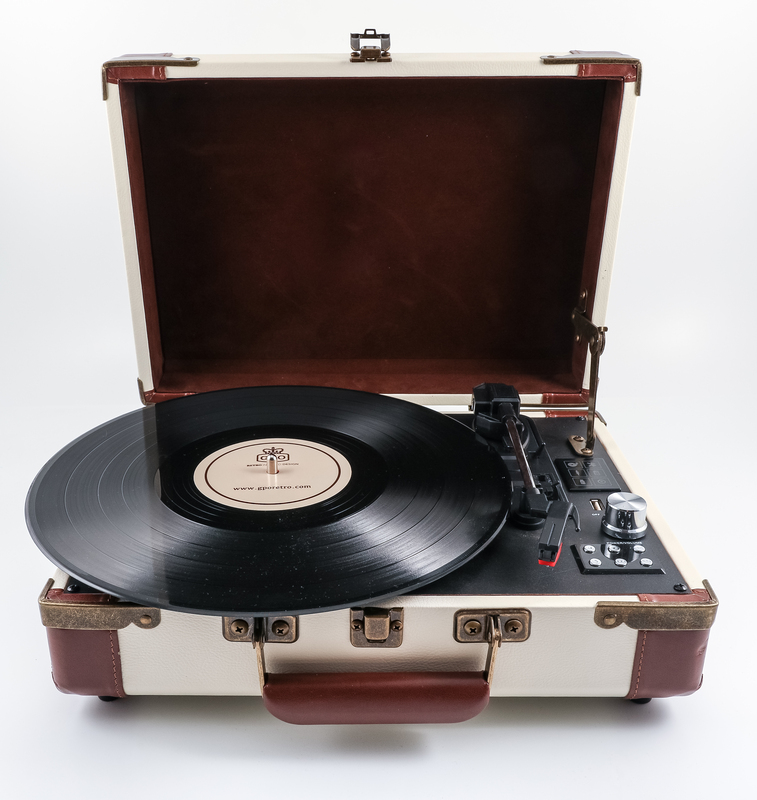 With a rechargeable battery the turntable will play on the go while the Bluetooth connectivity works with any Bluetooth speaker. Bluetooth connection with any Bluetooth speaker.